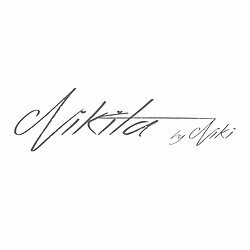 Nikita By Niki is a fresh, refined and exciting accessories brand established in 2014. 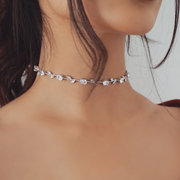 Specialising in rhinestone chokers, statement necklaces, rings, earrings and now homeware, Nikita By Niki aims to enhance any outfit or setting with a perfect blend of both daring and delicate pieces. Each item has been personally selected by expert Niki Mahon and carefully crafted to ensure they capture the elegance and perfectionism that the brand stands for. Niki personally finalises each piece of jewellery before packaging with care in branded gift boxes to ensure it reaches customers as soon as possible in the best condition. Each necklace has a 'Nikita' charm to further accentuate quality and originality and now offers luxury gift boxes. Niki created her online brand at 23 years old after graduating from university and is now working full-time with her team on pursuing her dream. She now has over 80,000 engaged social media followers of her entrepreneurial journey and is fixated on improving the brand's quality and product collections each season. Now with a wonderful team and beautiful new office in Kent, UK, Niki is continuing to design unique, on-trend, quality jewellery and homeware that not only makes a lovely treat to oneself, but a luxury gift to a loved one. "Beautiful, quality earrings thank you. I've been wearing everyday and bought a second pair of hoops for my friend!" "Bought a 2 pack of clear coasters in a gift box and couldn't be happier. My sister loved them, will be ordering some for myself!" "Stunning jewellery and fast delivery. LOVE my choker and ring thank you so much!" "Coasters are unreal. I don't even want to put anything on them to ruin them! Can't wait to buy more friends this Xmas!" "YOUNG ENTREPRENEUR OF THE YEAR FINALIST 2017"
"START UP OF THE YEAR FINALIST 2017"